Bringing high-tech sensors into the dairy barn. After Bethany Deshpande wrapped up her pitch at 43North’s startup competition last October, she was taken aback by the audience’s reaction. “I thought I was being booed,” the SomaDetect founder recalls. It turns out the Buffalo, N.Y. crowd was mooing, not booing: a show of support for her company’s milk monitoring tool. By the end of the night, SomaDetect had bagged both the People’s Choice Award and the $1 million grand prize. And with good reason. SomaDetect’s technology promises to revolutionize how farmers receive information about their herd and about the milk they produce. Hooking right into the milking system, the compact device uses optical sensors, computer vision and machine learning to measure fat, protein, somatic cell counts and other important indicators from every cow at every milking — without the use of chemicals. The process delivers results in seconds, rather than the days it typically takes to get samples tested at a lab. 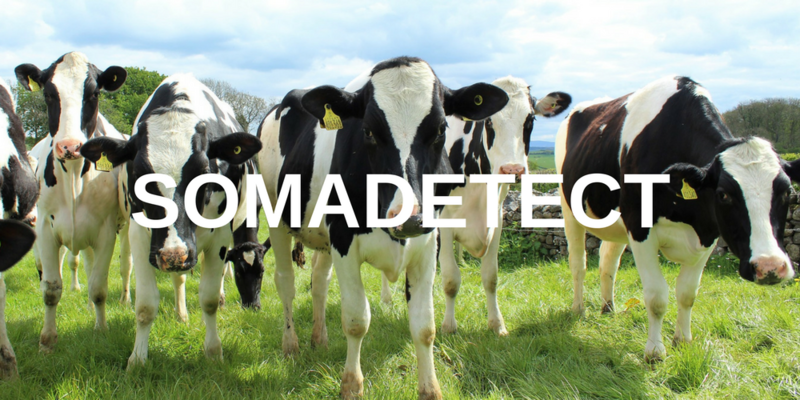 As a result, SomaDetect detects diseases early and ensures only the highest quality milk reaches the bulk tank. “It’s like being able to diagnose something as a cold rather than as pneumonia,” says Deshpande. Not only is that better for the cows, it’s better for the farmer’s bottom line. Although SomaDetect was officially founded in 2016, Deshpande’s father had been developing the technology’s patented sensors in the basement of their family home since she was a child. When the invention was ready to be commercialized, he turned to his entrepreneurially minded daughter. In addition to the big win in Buffalo, Deshpande took home the $50,000 top prize at a Communitech competition in Kitchener/Waterloo, as well as the $5,000 prize for best pitch at Missouri’s 2017 Ag Innovation Showcase. Today, the company’s eight-person team is piloting the technology, working out manufacturing logistics and clearing the necessary regulatory hurdles to get the product to market. With offices in Fredericton and Buffalo and potential customers around the world, they’ve come a long way from her father’s basement workshop. “It’s a wild ride, but it’s great,” says Deshpande.